Uh Houston, we have a problem. I can not stop guests from posting in blogs. That is a very major problem. How can I stop this? 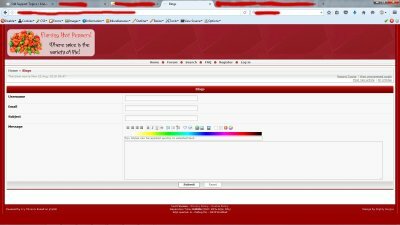 I looked in the blogs configuration in the ACP. Uhhh no. Speaking of. What is this and what does it mean? I'm not asking to change the plugin for the public at large, just for my self. Here is what I wish to do. 1. 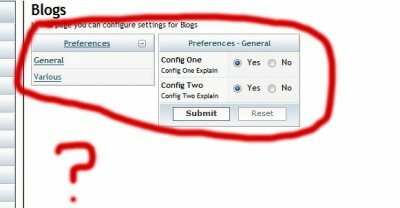 I wish to get rid of the Post new article button for guests when viewing the list of blogs on site. That is a bad spam issue waiting to happen, I was able to post logged out without approval needed. The post immediately was on site. 2. This is a option if they click on the blog post. 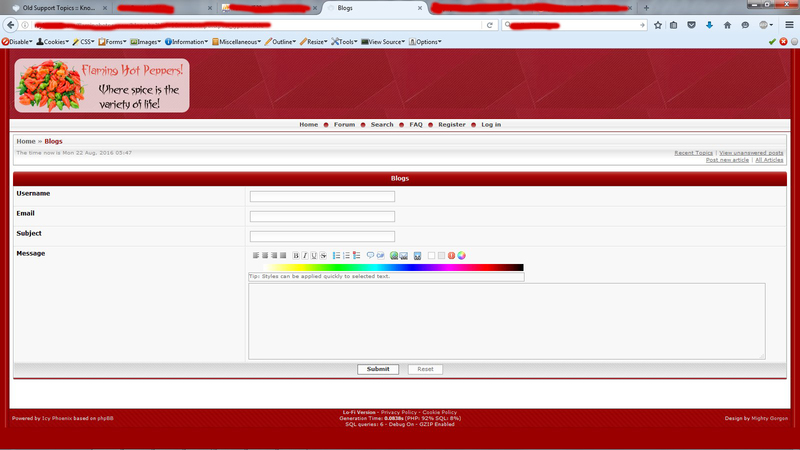 And on my blog I have to only allow registered to reply in this instance. In the screen shot, I am logged out and still able to post. 3. I want to remove the option for members creating a blog to allow ALL to reply. I do not want them having the right to allow spam on my site. I REALLY hate to bother anyone over this but it is kind of major to me. I will in the mean time attempt to fix my self. 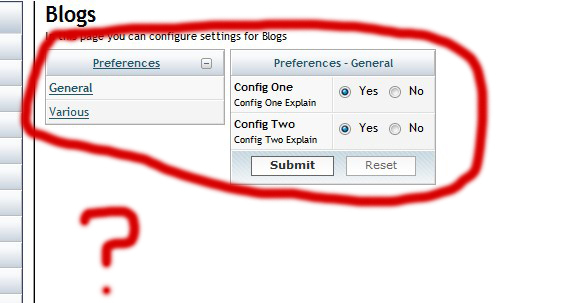 But that screenshot of the ACP and blog settings, that baffles me. I'm not sure I actually understand what config one and config two actually means. And if you choose either option on various or general, it auto sets it in the other. The AP options totally loose me embarrassingly enough. On second thought guys, I know I have already posted a lot of stuff. You can disregard this for now. I got a lot of other stuff going on to setup and get going. I realize how much work this is and time is short for people now days and understandingly so, times are hard right now, so I went ahead and disabled the plugin for now. I would love to use it but just can't the way it is out of the box. Maybe at a later date we can revisit this. Sorry for wasting anyone's time on this. Seems like some screws are loose... there are some settings files however. Yeah there are are but all they say is config one and config two LOL I think it might still be being developed? There is no way anyone can look at the ACP settings and say oh ok that's what that is for. I'm sure it was meant to be worked on still. No harm no foul. This is just what I am thinking. I love the blog. It is an awesome little plugin. Simple and right to the point. I might in the mean time turn it on and off and work on it some. There is some skinning work I might try to do just for the sake of having something to do. As I stated, I simply turned it off for now. I really like it and hope to get to use it in the near future but no biggie either way. I know you guys got a lot going on with this fine project. I am enjoying it the way it is. Thanks guys! Keep up the awesome work. You all rock it! I mean there are PHP settings files. Ohh Ok. I got ya man Sorry. I love how text can be misleading LOL. I get bit by the bug once or twice a week at least. Well, I'll usually mean "in the code" since that's where I spend my time! It makes sense that you'd think in the board, where you spend your time. I can agree with that. I'll have to keep a mental note of any code I might have looked at in my future posts for you guys as well. I do know some code so am not afraid to look, but don't know as much as others. @MG Can you add me to the icy_phoenix_plugins repo so I can tag stuff there? And then I stopped using this as a reminder source... I'll need to look into it. I don't think users can alter those options... only admins can... can you confirm? Fixes are a bit complex, so you should wait until I update files on GIT... I'm sorry. @Informpro: I added you to that repo. I will go ahead and enable the plugin again and test number 3 for you. I failed to think about me being an admin. I will create a regular user account and give it a quick test to see. I'll report back. Thanks for the reply MG. Much appreciated. I really like this plugin and have a bad itch to use it if I can stop guests from posting. BUT, none the less, I can understand how busy you are. I can wait. I'm in no hurry. I have all the time in the world. Hello again Luca. Regarding number 3, I got on my wife's computer, separate from mine to not have cookie issues or cache and registered a account under her name. She is but a regular user, no admin. Registered member only. I re-enabled the blog plugin and can confirm that with a regular user creating their own blog, they can in fact, set it to all reply. Hi guys I know this is very old now and I really hate to necro post. My apologies but this is a good one. In regards to my reply to number 3, it is true that users can in fact set to all users can reply. However, when logged out, all users can not reply. I tried it every which way but loose and the joys of life were smiling down upon me. Now I can easily see where some folks like having guests reply as it happens daily in bigger platforms that we will leave nameless just because. But, unless we can implement something like silent recaptcha v3 or something equivalent, the no guest reply option is the safest bet for a Icy Phoenix website Administrator would you not agree? I would call this one fixed for now and say it is good to use as is. It works a treat! Any my sincerest apologies for taking so very long to get back and reply to this. My life has been stuck in hospitals and doctors this year and a very bad personal tragedy that I am dealing with. 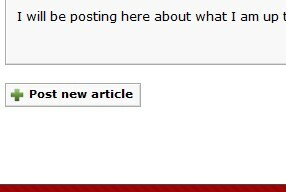 Time on forums has been moderately limited. Thanks fellas and ladies whom may be reading and have a very wonderful Happy New Year in 2019! OK, I have a PR with this fixed. 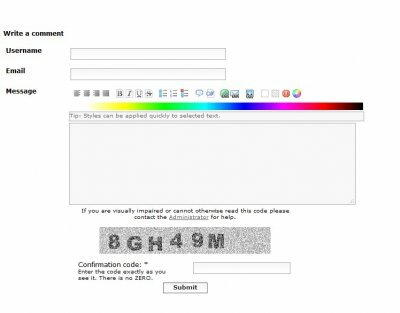 The fix was twofold, because some other code prevented the captcha system from working properly.